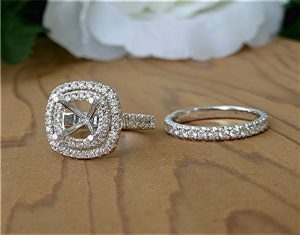 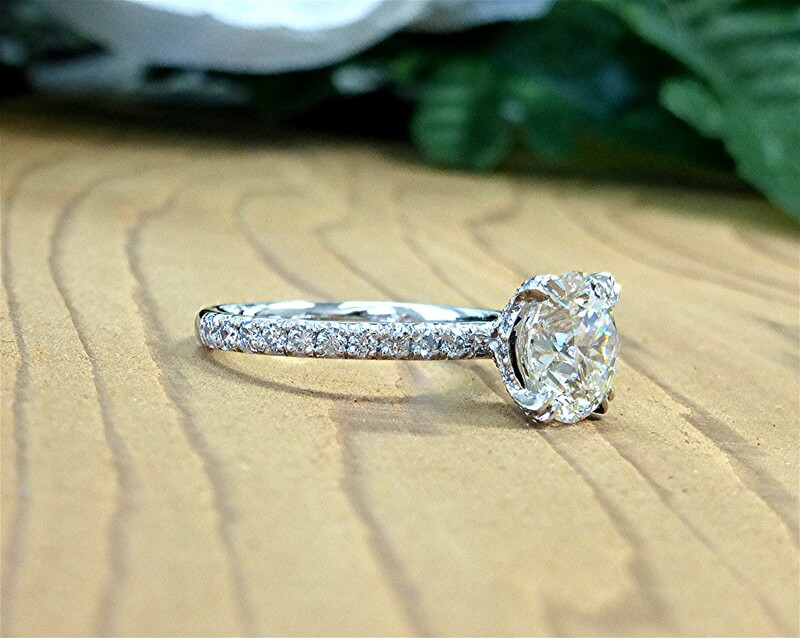 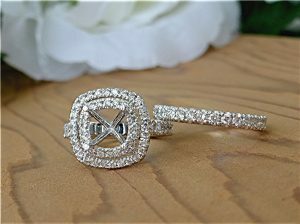 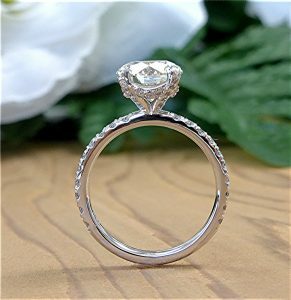 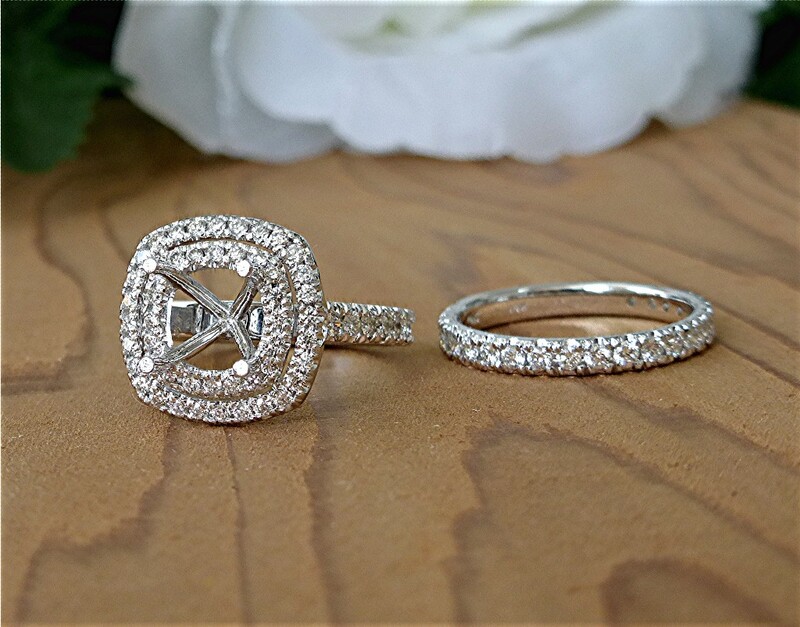 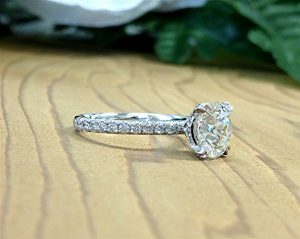 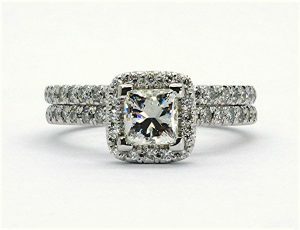 Center is princes cut diamond 0.71ct. 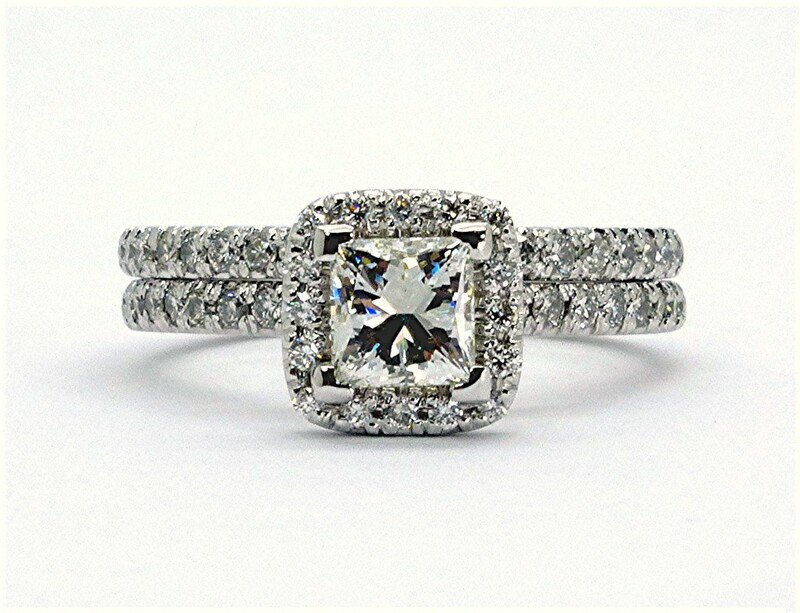 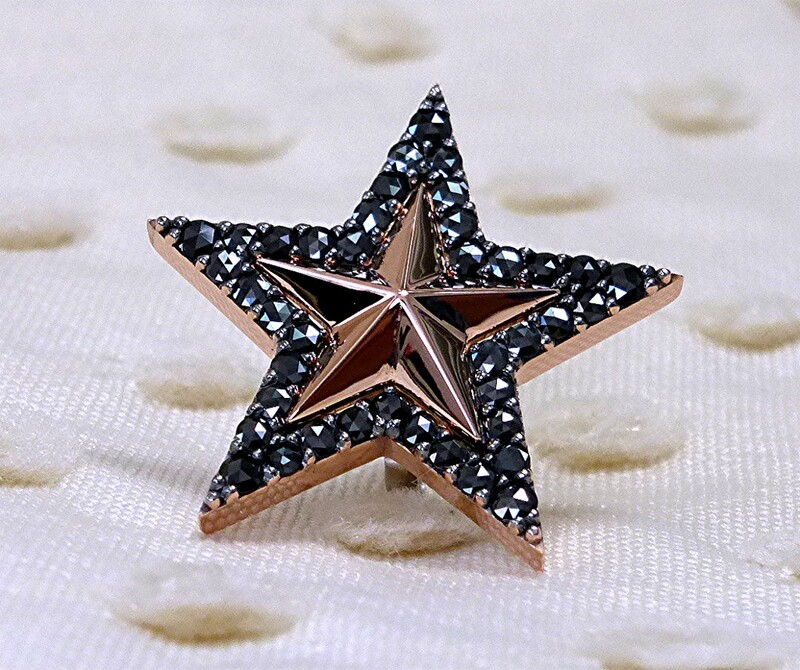 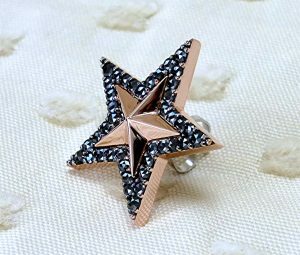 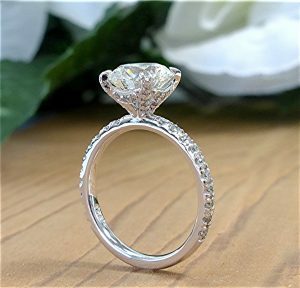 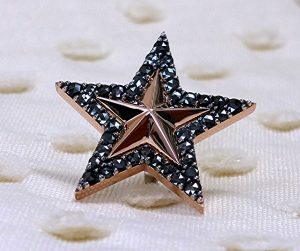 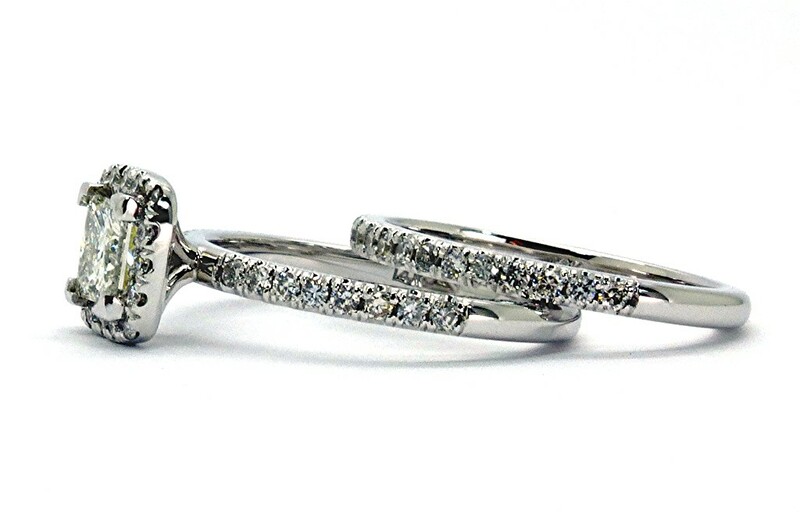 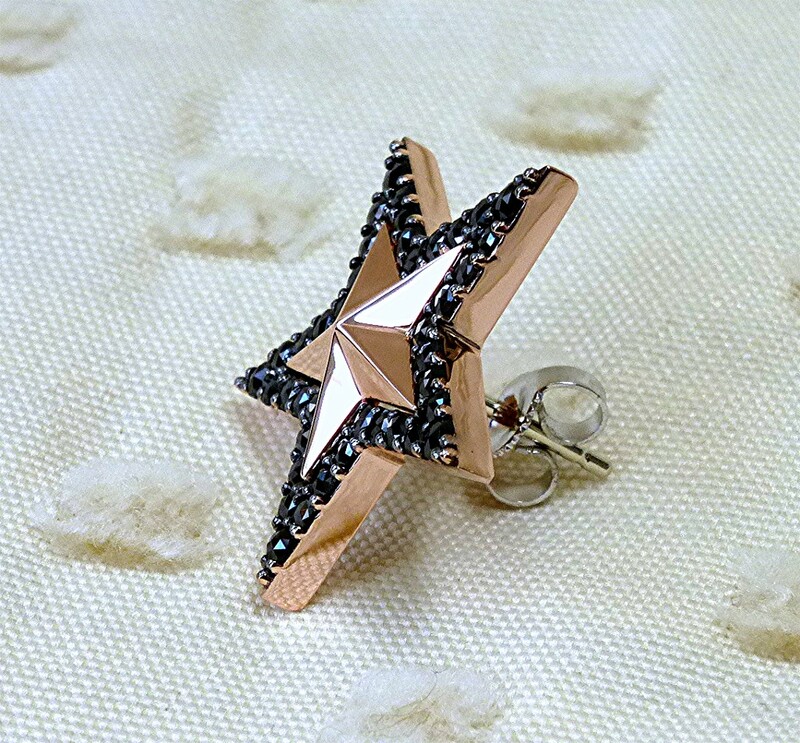 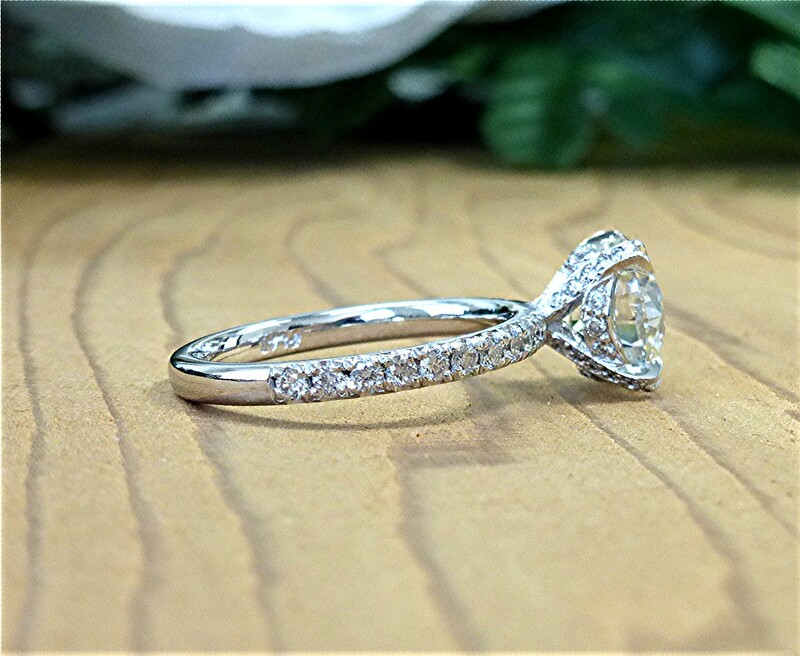 (4.89×4.73×3.53mm), G,H SI1, mountings are 14k white gold. 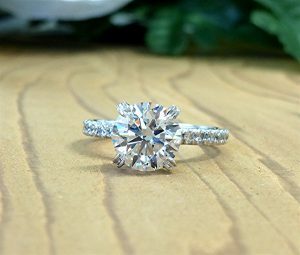 Engagement ring has 32 RBC micro U set for 0.33ct. 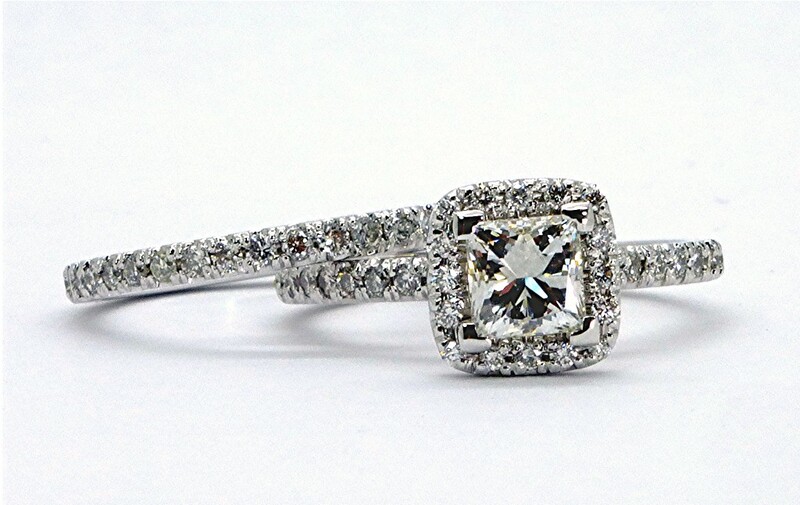 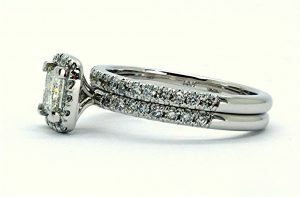 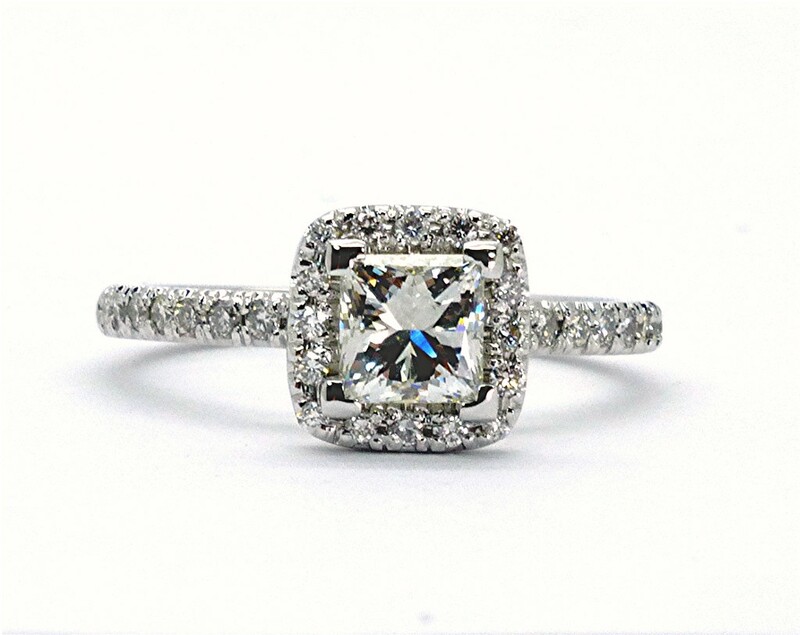 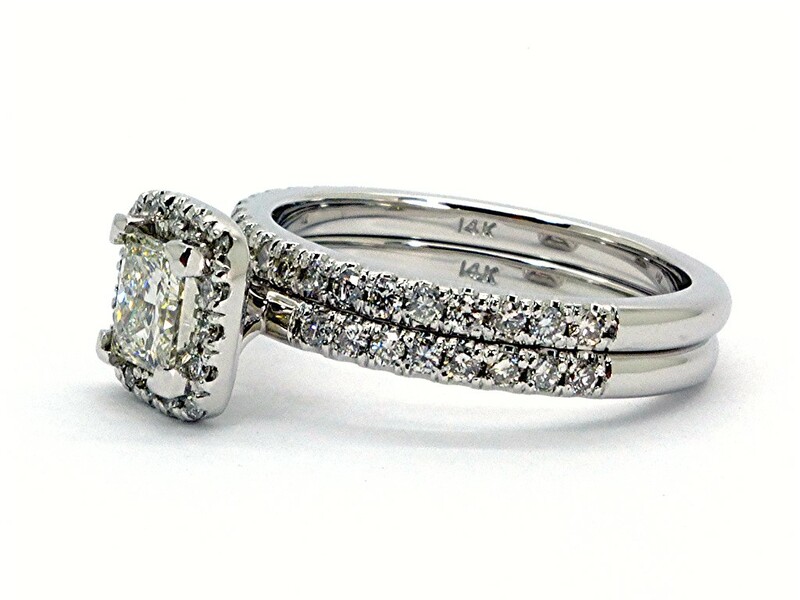 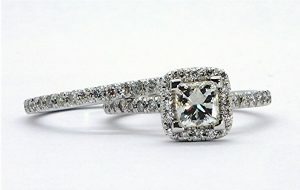 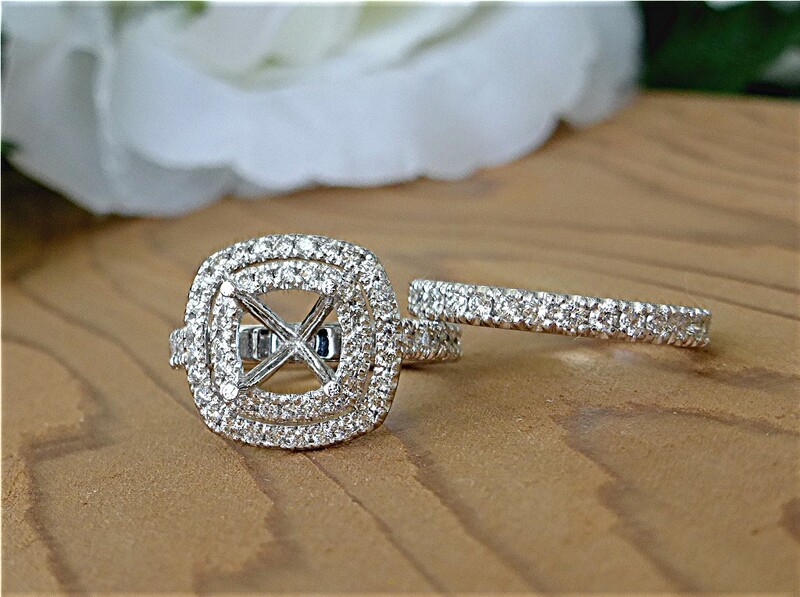 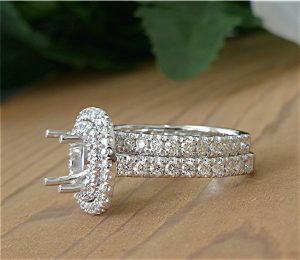 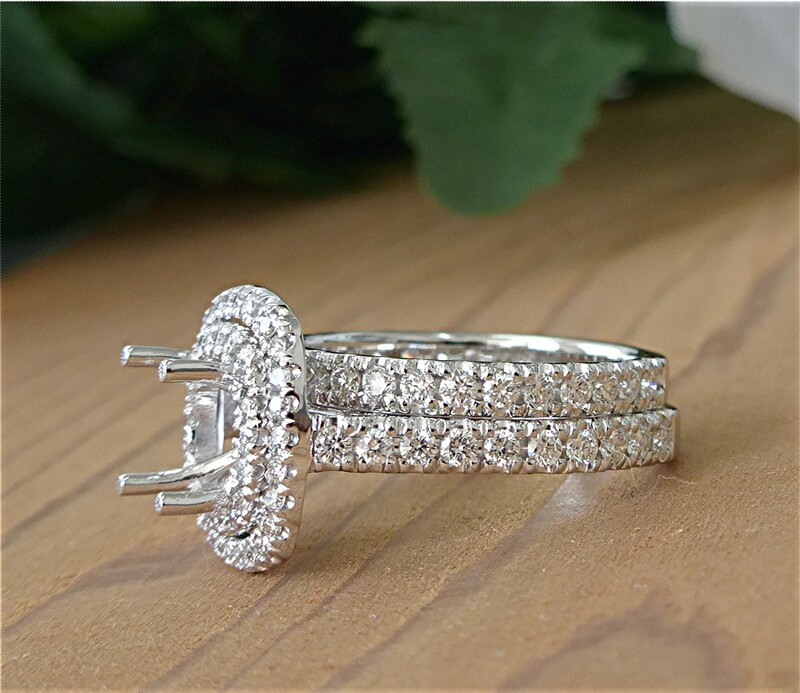 matching band with 19 diamonds 0.25ct.